Present international institutions are clearly inadequate to the challenges of a globalized world hitting planetary limits. What transformations are needed to make global governance more effective, and how might the transition be organized? This presentation will share institutional, legal and environmental perspectives on the characteristics required for international institutions in the 21st century and some of the steps necessary to put them into place. The talk will draw from insights contained in the writings of Shoghi Effendi. 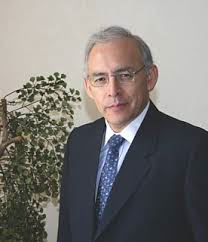 Augusto Lopez-Claros is the Director of the Global Indicators Group at the World Bank Group, the department responsible for the Bank’s Doing Business report and other international benchmarking studies. Previously he was Chief Economist and Director of the Global Competitiveness Program at the World Economic Forum in Geneva, where he was also the Editor of the Global Competitiveness Report, the Forum’s flagship publication, as well as a number of regional economic reports. Before joining the Forum he worked for several years in the financial sector in London, with a special focus on emerging markets. He was the International Monetary Fund’s Resident Representative in the Russian Federation during the 1990s. 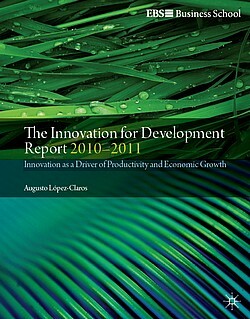 Before joining the IMF, Lopez-Claros was a Professor of Economics at the University of Chile in Santiago. He was educated in England and the United States, receiving a diploma in Mathematical Statistics from Cambridge University and a PhD in Economics from Duke University. He is a much-sought-after international speaker, having lectured in the last several years at some of the world’s leading universities and think tanks. In 2007 he was a coeditor of The International Monetary System, the IMF, and the G-20: A Great Transformation in the Making? and The Humanitarian Response Index: Measuring Commitment to Best Practice, both published by Palgrave. 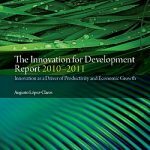 He was the editor of The Innovation for Development Report 2009–2010: Strengthening Innovation for the Prosperity of Nations, published by Palgrave in November 2009. More recent publications include: “Removing Impediments to Sustainable Economic Development: The Case of Corruption” (2015) and “Fiscal Challenges After the Global Financial Crisis: A Survey of Key Issues” (2014).